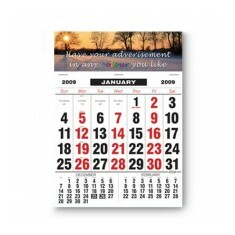 In search of a personalised Wall Calendar worthy of hanging from your office or kitchen wall? We have plenty of options here at MoJo and even some that are pre-printed with stunning designs so you can just brand it with your logo. 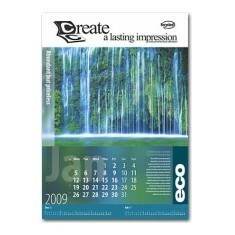 Customised wall calendars are great for handing out across your offices or gift shops to help everyone make sure they have a space to keep track of all their important dates. 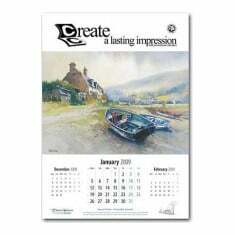 Our range of promotional wall calendars has plenty of sizes and different types of stock images that we can print to the calendars so if you can’t find what you want, make sure to give us a call and we can look into it for you! 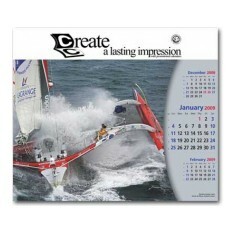 Branded wall calendars ensure that your company logo stays in front of everyone in the office or kitchen for a whole year at least. When it comes to picking favourites, we love the custom printed Wall Calendar. 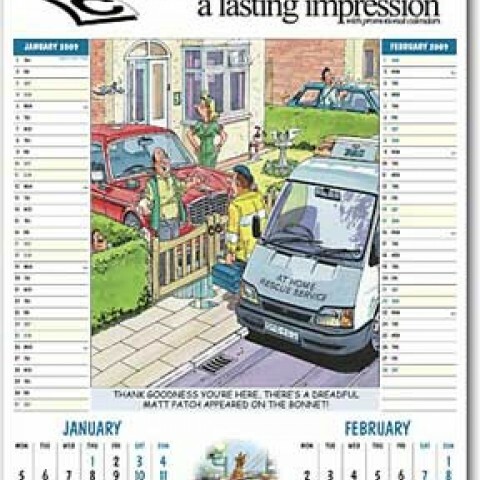 Printed in full colour as standard, you put your stamp on this calendar. 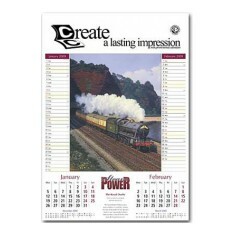 Personalised with your own design or choose from a range of stock images and print your logo to the top of the calendar so it is always on show. 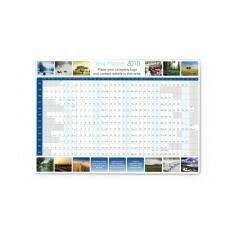 Available in either A4 or A3 size, this wall calendar has plenty of space for writing any important information for dates and events on there. 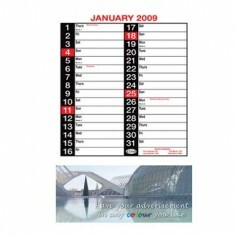 We supply a vast range of personalised wall calendar designs, our site only contains a small selection of our full range. If you cannot find the design you require please let us know as there’s a good chance we will stock it. 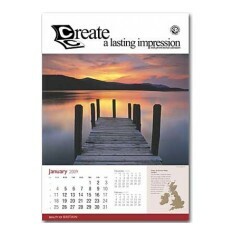 All of our wall calendars can be custom printed with your design, shown on each month and the front cover. For more information or to discuss your requirements please call us. 170gsm paper. Gloss or matt finish. Personalised in full colour. Excellent size. 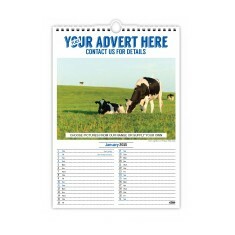 Hard wearing and practical calendar with advert printed in any two colours. Wiro bound full backboard calendar with handy note section for each day. 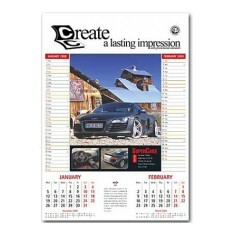 Adver..
7 page wirobound calendar. Supplied with loose peel and seal manila envelopes. Compact and stylish, an essential where space is limited. 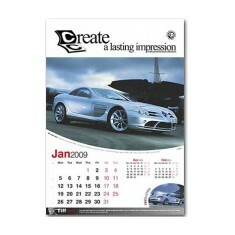 Advert printed in up..
Don't miss a birthday ever again with our custom printed Wall Calendar. Suppli..